Dwarka Pochanpur Colony, Delhi, India- 110077. I am a B.COM, CMA, and MBA (Finance) former Research Associate at IIM (A) with 15 years of teaching experience provides crash & regular classes for class XI & XII, B.COM and BBA. Highly experienced & motivated teacher well versed with the latest high School CBSE / B.Com (DU) syllabus. Taught as guest faculty at Indian Institute of Management (Ahmadabad). Teaches Accountancy, Business Studies for CBSE Board, Commerce for ISE / ICSE and Business & Management for IB. Teaches Accountancy & Business Studies for CBSE Board, Commerce for ICSE / ISE and Business Management for IB Students. 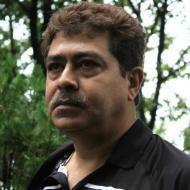 Kaustav Roy Chowdhury describes himself as Tutor. He conducts classes in BCom Tuition, Class 11 Tuition and Class 12 Tuition. Kaustav is located in Dwarka Pochanpur Colony, Delhi. Kaustav takes at students Home and Regular Classes- at his Home. He has 12 years of teaching experience . Kaustav has completed Bachelor of Commerce (B.Com.) from St Xavier's College (CU) in 1992, ICAI from Institute of Cost Accountants of India in 1994 and Master of Business Administration (M.B.A.) from Indian Institute of Social Welfare & Business Management in 1996. He is well versed in Hindi and English.